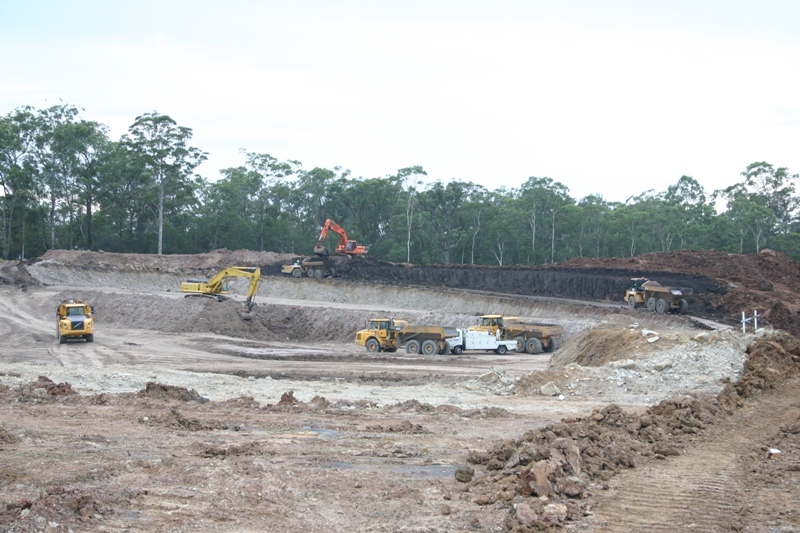 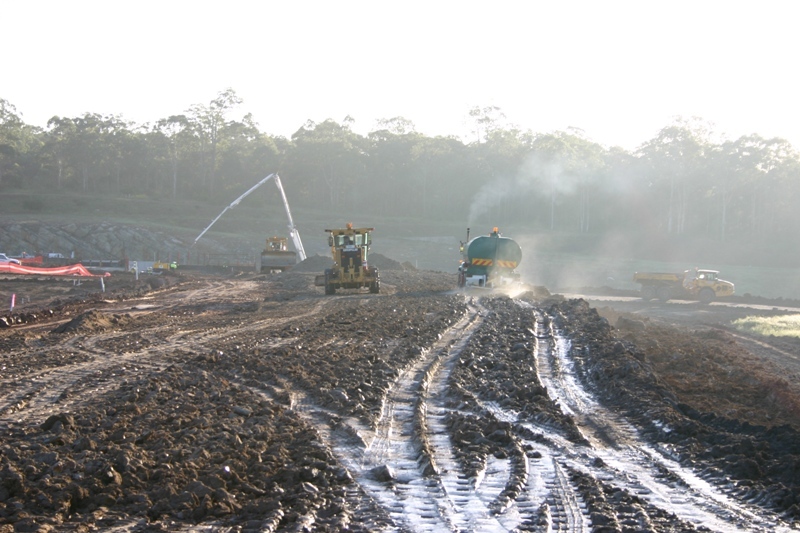 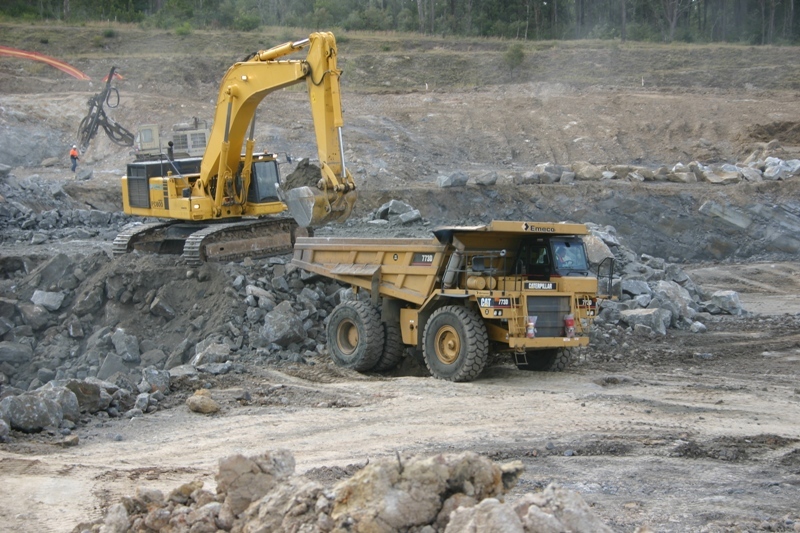 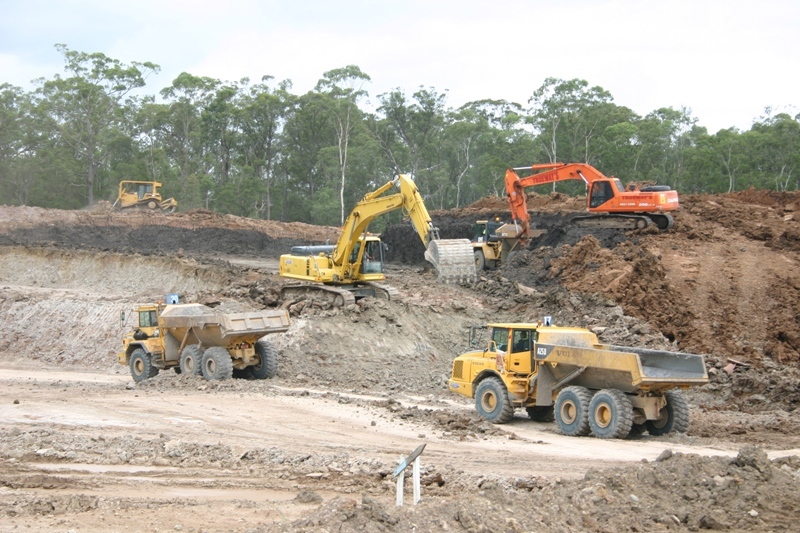 Excavation in hard rock to form spillway: The rock required drilling and blasting and because it contained Acid Sulphate chemicals it needed to be spoiled below water level within the existing dam. 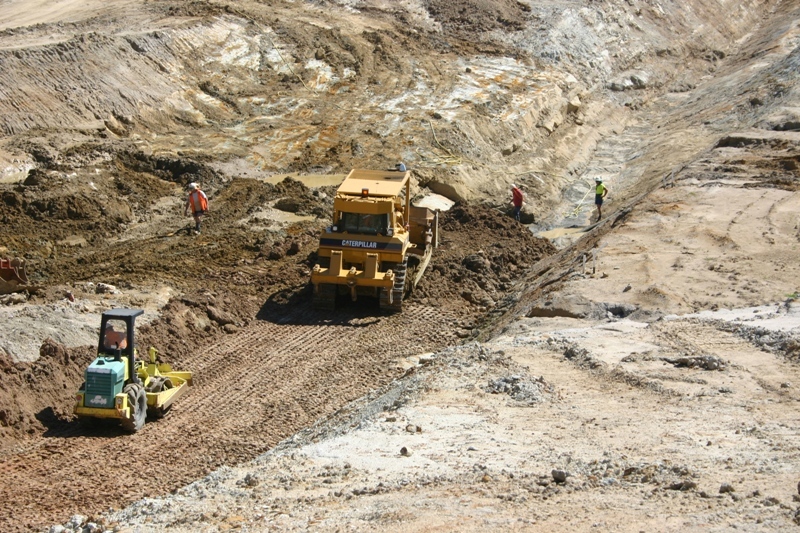 This required careful planning as the material had to be submerged within 24hours of blasting. 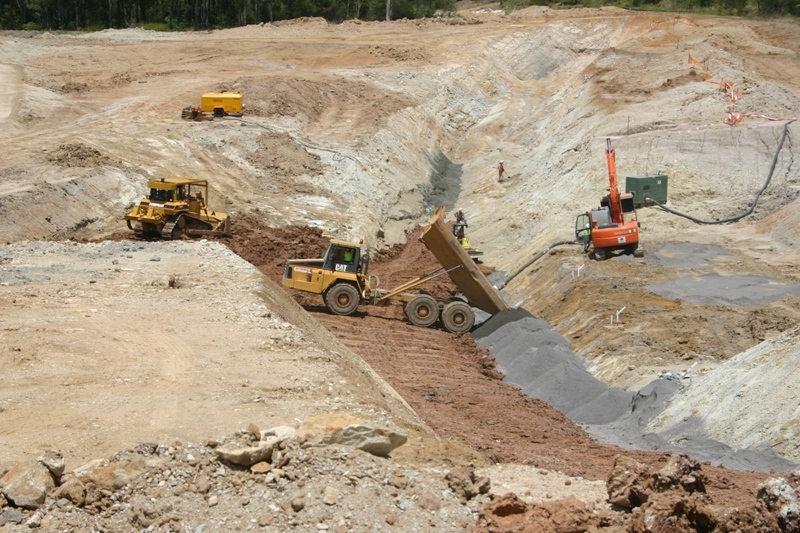 Construction of coffer dam: as the invert of the new spillway approach channel was below the existing water level it was necessary to construct a coffer dam upstream of the works. 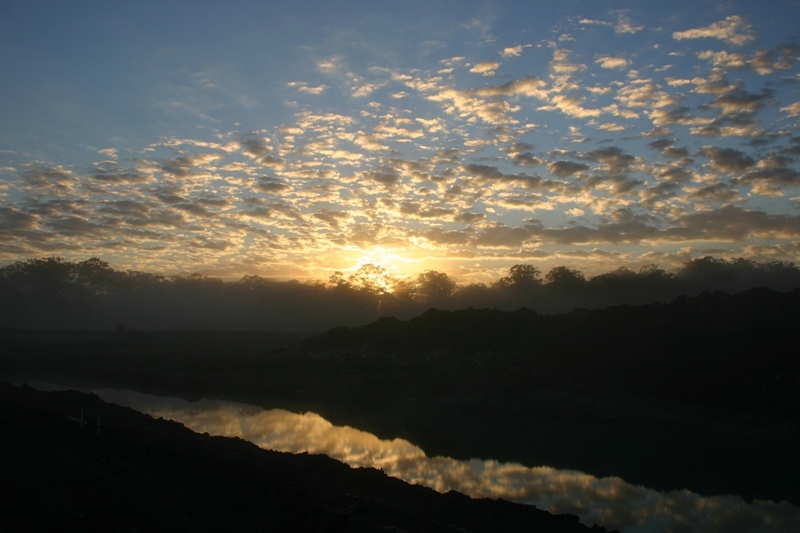 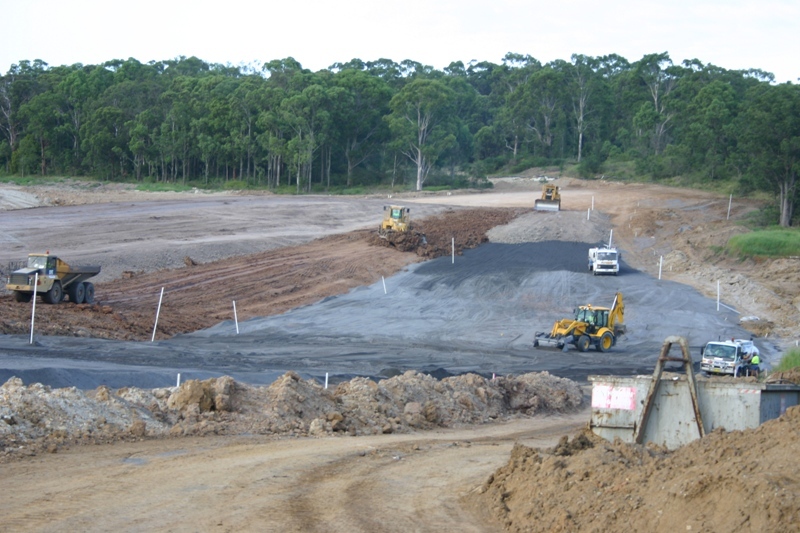 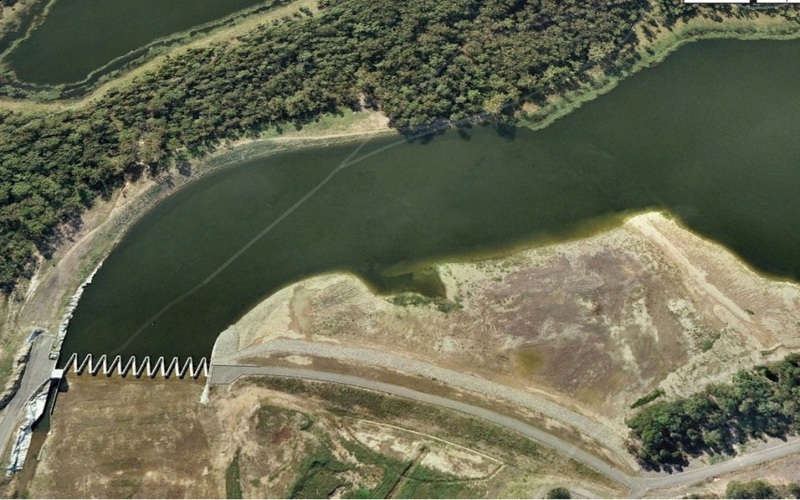 Because water in the dam is for Newcastle’s water supply, care was required to manage siltation and contamination factors. 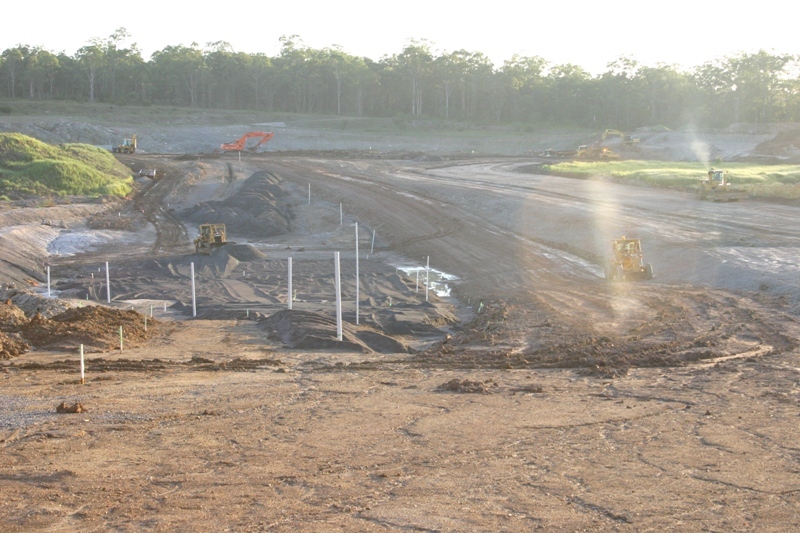 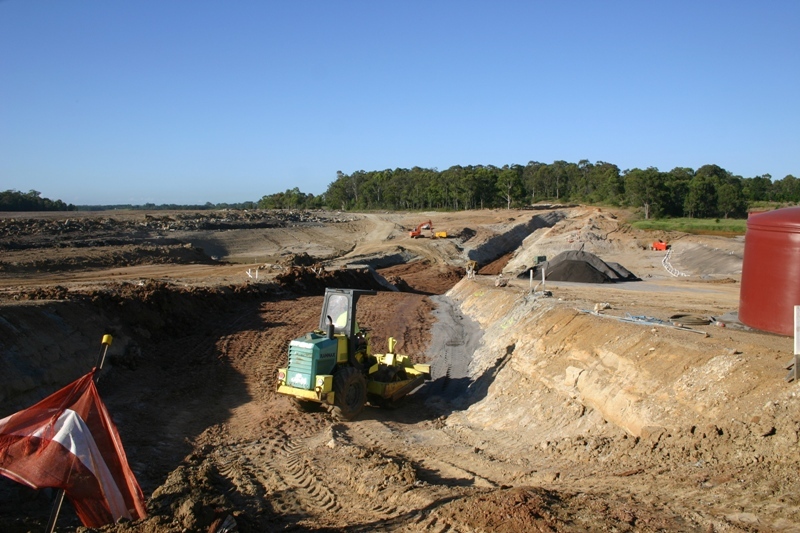 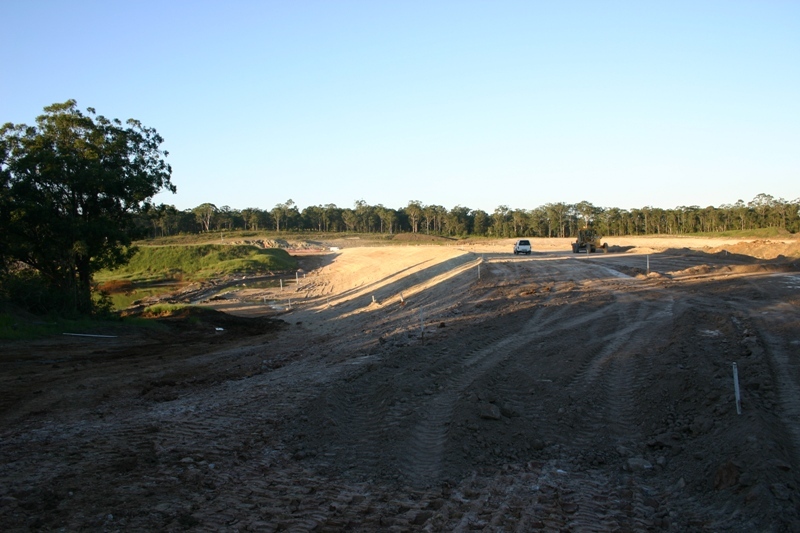 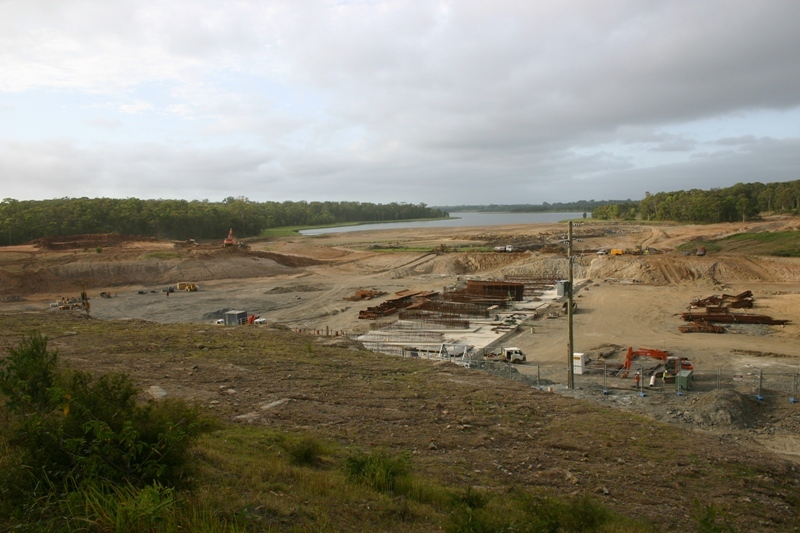 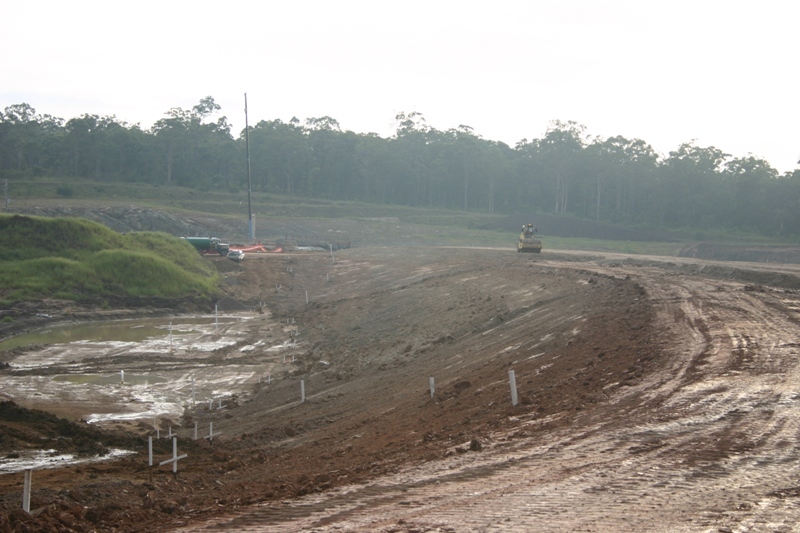 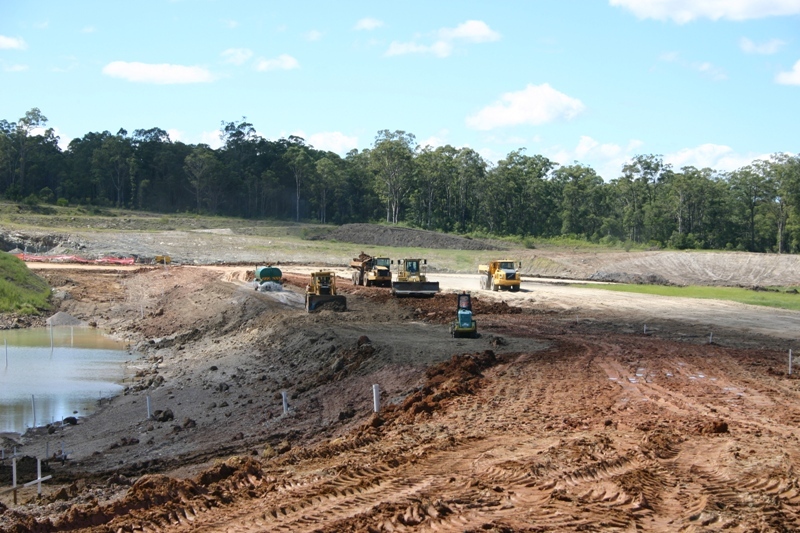 Construction of saddle dam: this dam abuts the new concrete spillway and a ridge at the Southern end. 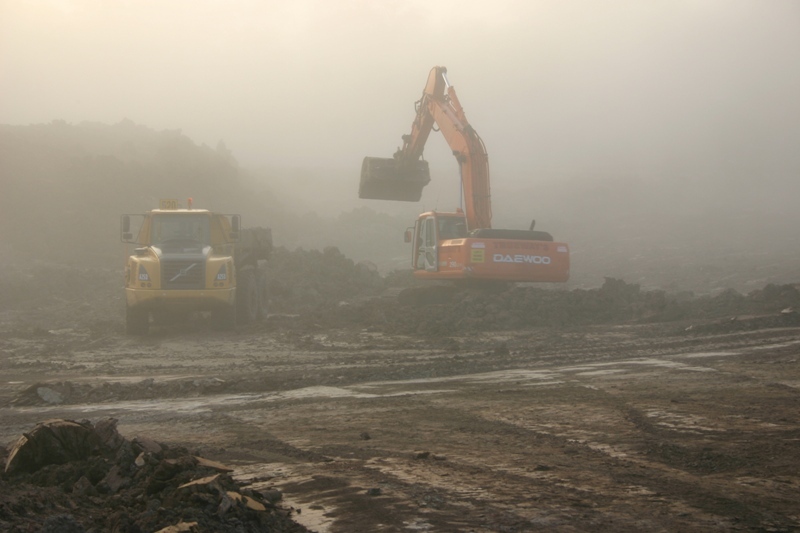 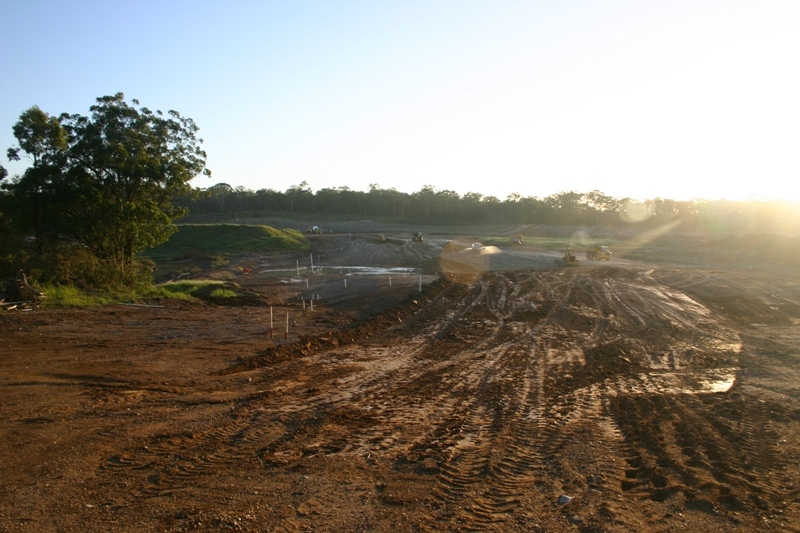 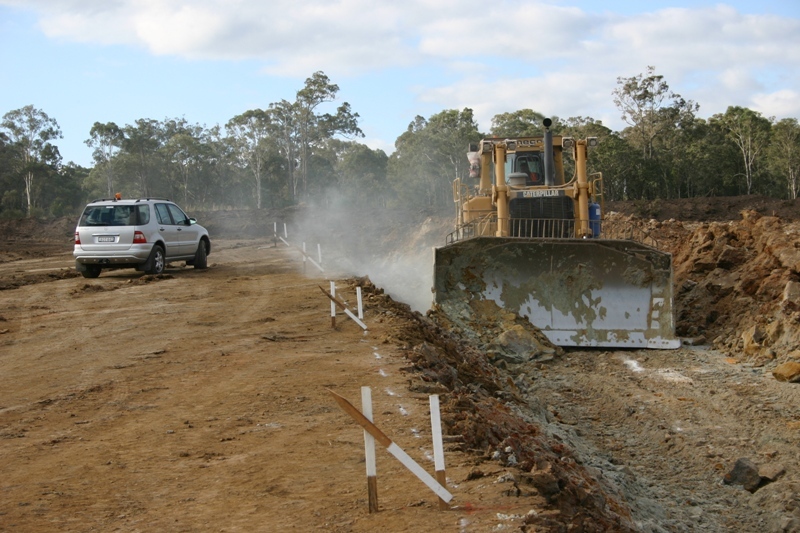 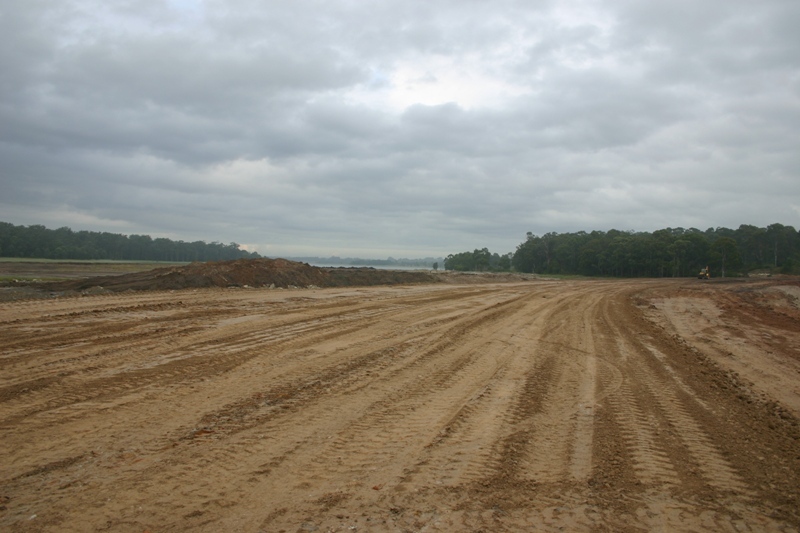 Construction included a key into the rock subgrade and zoned construction including chimney drains and filter zones.